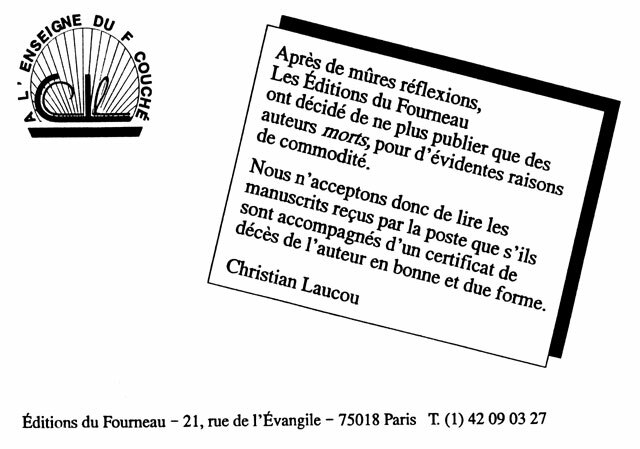 Among the pleasures and the cross (the two sides of the same coin) of the publisher we find the reception of not sought manuscripts by mail way (now - technological progress obliges - they also arrive by e-mail). Everybody knows that, in the matter, the worst mostly border on... the worst. Exceeded, the publisher is transformed into an old grumbling bear. Then he reacts as a consequence and sends back the incriminated manuscripts with a sybillin cardboard in place of report, like that of Deleatur: "Pierre Laurendeau loathes the poetry!" 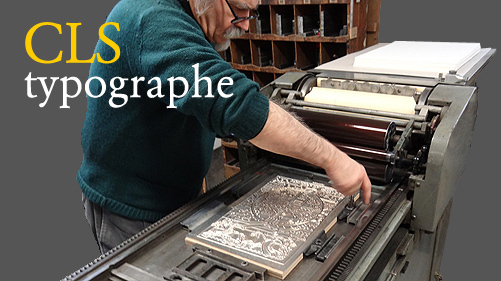 (Printed by myself for his friend and colleague) or, with a good consummate taste, like that one we find above for the Éditions du Fourneau. Self-criticism: the typography of this cardboard is more than questionable but its documentary interest (and history) is evident.